How often should one change Fish Tank Filter Media? 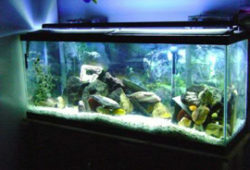 This is often the most asked question for fish tank enthusiasts and the answer you will receive will be just as varied. There really is no fixed rule to the frequency of changing fish tank filter media but there will come a time when you will have to. The most important aspect about having an aquarium is keeping the water clean and clear. 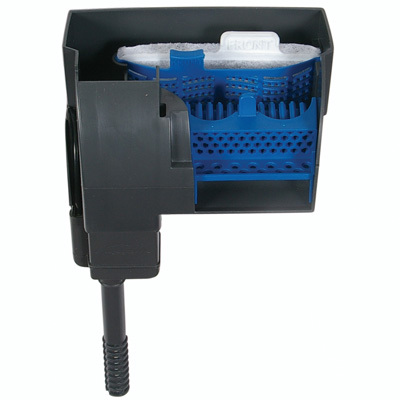 Everyone knows that this is the job of the fish tank filter and because of this there is a misconception that the fish tank filter media needs to be replaced as often as possible. 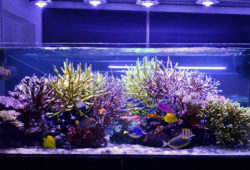 Actually, how frequent you replace the fish tank filter media will depend on a number of conditions such as how big your tank is, how many fish you have in it, the size of your filter, what type of filter are you using and how many filters you have. The bigger the fish tank, the larger the filter should be. If you have a large tank with an insufficient filter, the filter media will need to be replaced often. In order that you do not have to change it that much, switch to a larger filter or have more than one filter if your tank is really big. Check of the size recommendations from the dealer before you buy a filter. If you have a lot of fish in your tank, your fish tank filter will need to work harder in order to maintain the purity of the water. Thus, your filter media will need more changing. Just like a larger tank, if you have many fish in there try switching to a larger filter or use two filters at once. The filters do not just differ in prices but the also differ in the frequency that you will need to change the filter media. The filters that require the least maintenance and change are canister filters. The choice of filter that you but will determine the amount of time and money you spend maintaining and change media. You might think it a waste to spend so much on an expensive filter but it will save you a lot in the long run. You will also need to take note of the size because filters that are bigger tend to need less maintenance and change. Using a larger filter will be more expensive at first but you will save in the long run.